A couple of years ago I started a tradition of reading travel books over the summer. It arose out of an inherent love of travel and my inability to take a real vacation that year. Sometimes, it’s just too expensive to travel with kids, but the magic of books is that you can go anywhere and “see” anything with the flip of a page. I love all kinds of books, but the nature of my work means that I’m almost always reading YA or adult fiction as research, for blurb, to help a friend, as part of my freelance editing work, etc. Having a finite time period to binge on travel books is something I really look forward to every year. This summer I read three amazing ones. I highly recommend them all! 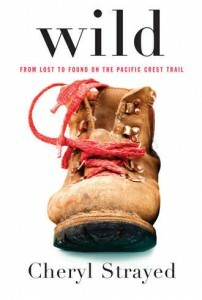 The first book I read was WILD, by Cheryl Strayed. A profoundly moving account of a young women who hikes the Pacific Crest Trail alone, it inspired and touched me. One of the things I loved most about the book was its intensely personal voice. Totally untrained and spiraling into serious self-destructive behavior following the death of her mother, Cheryl wasn’t a typical candidate for a hike of this magnitude. But you know what? She did it. And she was transformed. I was completely addicted to this book and highly recommend it to anyone – but particularly women – at a crossroads. 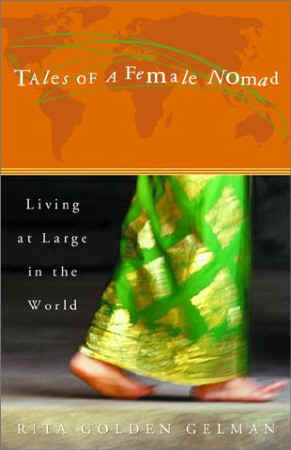 Tales of a Female Nomad by Rita Golden Gelman was next. I was so riveted to this book that for two solid weeks I actually wanted to give up my writing time for reading (*gasp*). I think this book spoke so loudly to me because Rita didn’t start traveling until she was in her 40s and because she did it entirely alone and with no real experience. Another thing I loved about Rita’s account is that she ended up living full time, essentially, as a nomad on very little money. The thing that she valued most about travel was the opportunity to meet and learn about people and their cultures up close and personal, so she spent most of her time in hostels, backpacker hotels, and living with friends she made in other countries along the way. It was a glimpse into the kind of life I’ve dreamed about post-kids, and I’m inspired by the fact that Rita is still living abroad today (in Turkey, as of now). If you’re looking for proof that there IS another way to live, this is your book. Rita is now a big proponent of a gap year for American students (I say “American” because many other countries already advocate gap years). After reading this book, I’m in total agreement. 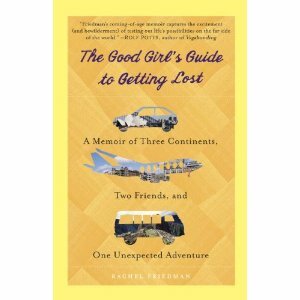 My final book of the summer was The Good Girl’s Guide to Getting Lost by Rachel Friedman. While geared to a younger crowd (Rachel was in college when she begins traveling), I got so much out of this book. Mostly, it just added to the increasingly-large amount of anecdotal evidence that it IS possible for women to travel safely alone. This was a book I wish I’d had when I was seventeen. It might have changed the course of my life (not that I want that NOW). Rachel spends a lot of the book trying to reconcile the very American push for her to get a college degree and a “good” job with the glimpses of another kind of life she gets from young Europeans she meets traveling abroad – young people for whom travel is an integral part of their life education, not the mark of a loser who isn’t in school. I recommend this for any young person, but especially those not sure what they want to do and not sure the traditional path of college is for them, at least not right out of high school. I gifted it to Rebekah before she left for college because I thought it would inspire her in this newly independent phase of her life. It was a bit sad to reach the end of my summer travel reading! I still had books I wanted to read and places I wanted to (virtually) visit.